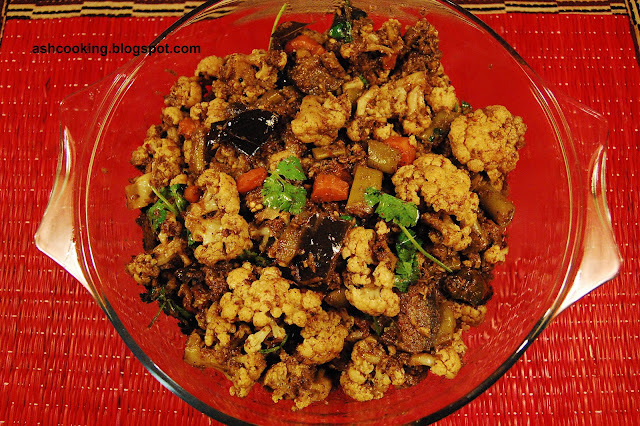 If you like to have vegetables cooked in a spicy way, you may try the recipe below. It is something I picked up from a cookery show hosted by Aditya Bal and it turned out good. It has that southern touch of cooking with tamarind, coconut and a host of spices creating a concoction of robust flavour. Personally, I like cooking vegetables in a number of ways each time with a different variety. I liked the turnout the recipe below produced. If you don't like vegetables spicy, you may not end up liking this, but yes keeping an open mind to a different sort of flavour than your own, you might discover a new taste bud for fine cuisines like this. 1) In a hot pan, dry roast the whole spices together along with ginger and garlic and then grind them into a paste. 2) Further, dry roast the grated coconut for 2-3 minutes and then add it to the ground spices along with a pinch of salt, turmeric powder and red chili powder. With a bit of water, grind all the spices again into smooth masala paste. 3) Now, heat oil in a wok and as oil begins to smoke, add the ingredients for sauté and allow them to crackle. 4) Add the green chilies and onion and shallow fry the onion till it changes color. 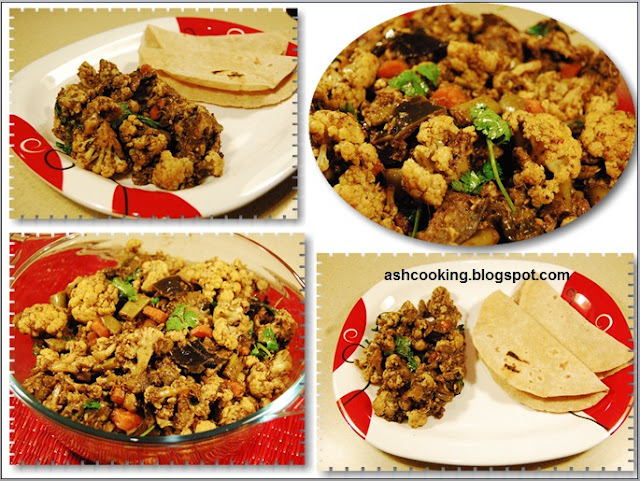 5) Mix in the masala paste; deglaze the pan with a bit of water and sauté for 3-4 minutes. 6) About this time, add the tamarind extract and fold in. 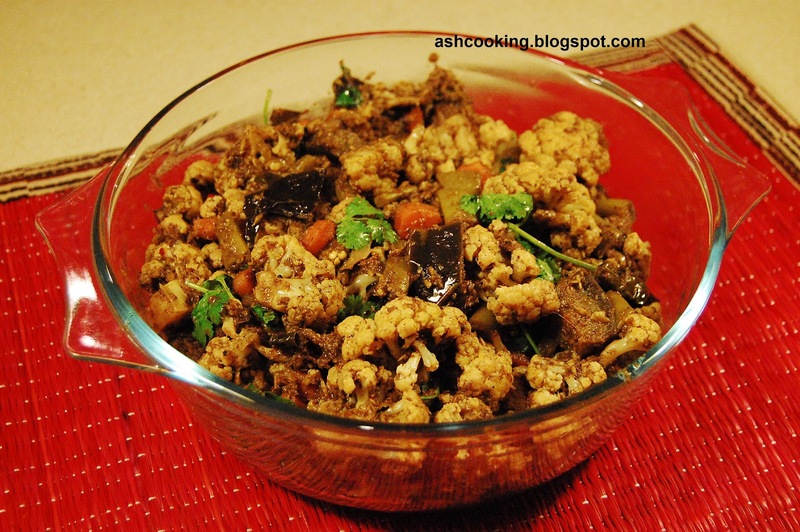 7) Then one after another in the following order, toss in the vegetables – cauliflower, carrots, eggplants and green beans. 8) Season with salt and pour enough water to cover the vegetables. 9) Place the lid on and simmer for 15-20 minutes till vegetables are cooked through. 10) Garnish with fresh coriander leaves and serve hot.